A licensed New York real estate broker focused on real estate law since the early 1990’s, Bob has managed over 2,500 home transactions. He has authored several articles for the real estate industry and served on the Law and Government Relations Committee of the Employee Relocation Council. In addition to working in real estate, Bob is a member of the NY and NJ Bar Associations, served as a FBI agent, and was selected by the New Jersey Supreme Court to serve as a member of the State’s Ethics committee. 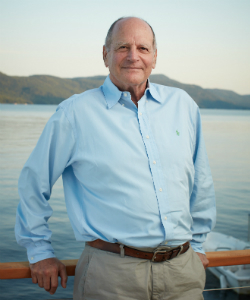 Since 1974, Bob and his family have been renting, owning, and camping on Lake George. They started on the lake in Bolton Landing and moved north to Hague in 1999. The Levenstien family has never missed a summer on Lake George since! Donna obtained a NJ Real Estate Broker’s License in 1989 and has actively sold residential real estate for nearly 30 years. Inspired by a personal relocation, Donna founded Forward Mobility, Inc., a nationwide real estate management company that provided relocation and real estate assistance to Fortune 100 and 500 companies such as AT&T, EXXON, Colgate Palmolive, State Farm Insurance Company, Procter & Gamble, Eli-Lilly, Merck and Johnson & Johnson. Forward Mobility, Inc. was sold to an international household goods firm looking to add real estate expertise to its portfolio. She and Bob are “invested” in Hague. They own the Post Office building and founded the Gallery at Hague Brook. The popular art gallery features local and regional artists and artists from the Hudson River School. Donna is also a certified yoga instructor and has enjoyed teaching at Silver Bay and in her own Hague studio. 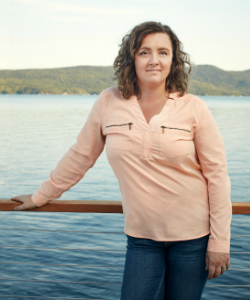 Originally from Steamboat Springs, CO, Crystal has been an active licensed Real Estate Broker since 2002. She has represented both buyers and sellers in transactions ranging from vacation properties and single family homes, to new developments and active cattle ranches. Throughout her career she has developed extensive knowledge, marketing savvy, and sharp negotiating skills. Crystal, her husband Dan, and their two daughters relocated to Hague full time in 2012, where her husband now owns and operates Staepel Construction, LLC. 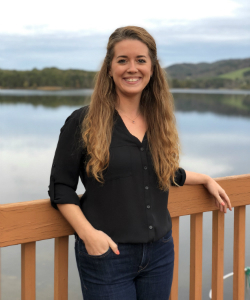 Crystal took a position with a local non-profit as Director of Purchasing and Facilities Development, overseeing a large team and managing construction projects for the agency’s 40+ homes. Her love for the Adirondacks has inspired a long term commitment to Northern Lake George and its residents. She is hardworking, dedicated, and loyal to her clients. She practices real estate with integrity and establishes relationships that go beyond the closing table. She is excited to be a part of the NLG team! Sam is an experienced marketing professional with a background in event marketing and coordination, project management and client relations. With a fine arts degree in design and a concentration in communications, Sam has always had a passion for interiors which has led her to marketing in the real estate industry. Her experience researching and analyzing industry and consumer trends helps NLG Realty to position their clients in the best light and attract the sales they’re after. Sam’s commitment to her clients’ success helps drive the NLG Realty mission forward. A frequent international traveler, Sam has worked remotely from 20+ countries on five continents. 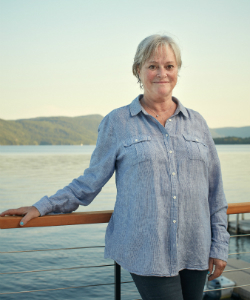 Her travels have exposed her to many cultures and kinds of real estate, but she will always have a special place in her heart for the charm of the Lake George community.